Good Morning! Did you pick yourself up one (or both?!) 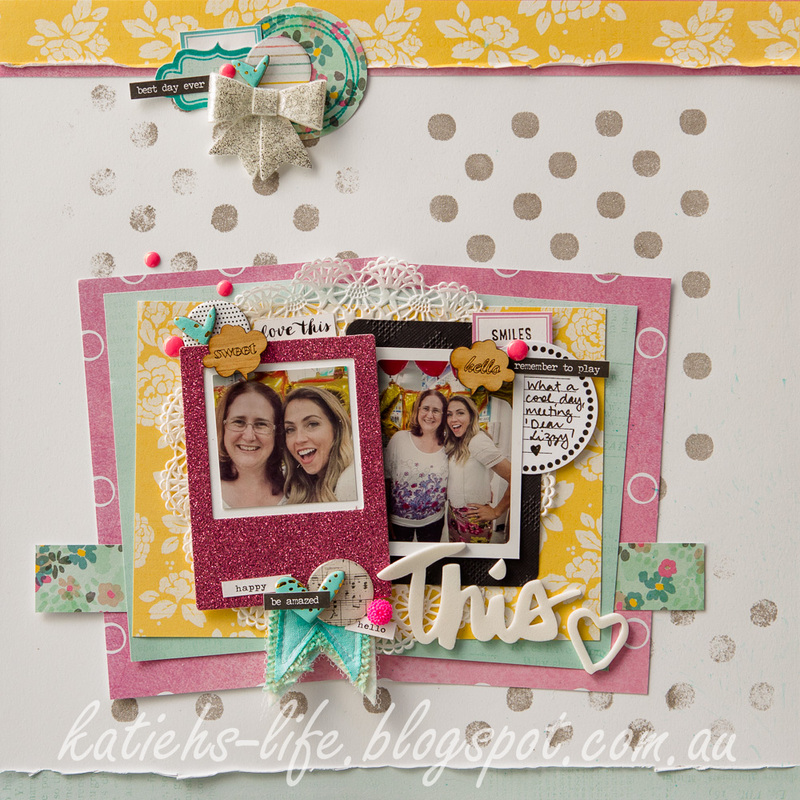 of the fabulous Rainbow Splendour kits last release? If you did, have you had a go at the sketch challenge too? I decided to use the gorgeous Chatterbox kit and the sketch and had so much fun. 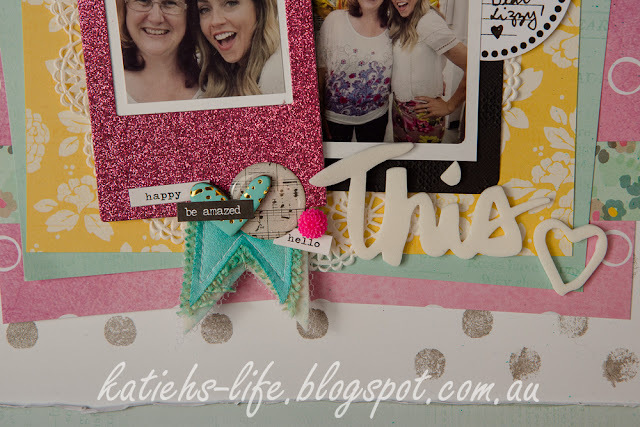 There was so much in the kit to play with, and I included a lot on my page, but I still have plenty left over for another project (or two!). I have used the glitter frame, 4x3 embossed card, epoxy stickers, wood veneer, felt bow and pretty pin. Can you spot them all?! I even have some of the cut aparts tucked into layers as well. I finally also had a play with some art screens to create my silver spotty background, I am looking forward to playing some more with these! 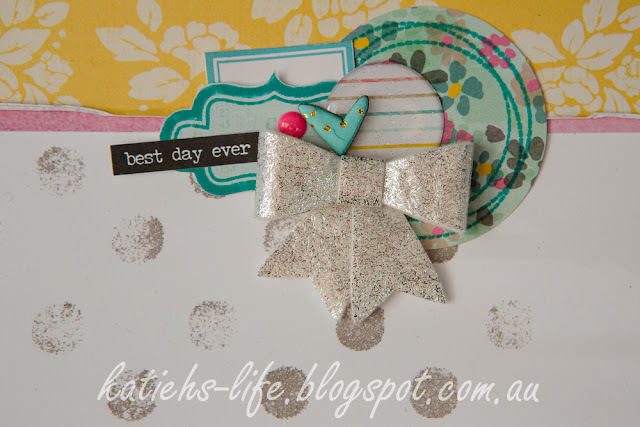 I love a pretty embellishment cluster and the felt bow and epoxy sticker are perfect to include. Lots of pretty layers going on, and I just had to use a Dear Lizzy collection to scrap these photos! Adding a DIY Charms Creations banner to this last embellishment cluster helped finish off the page. To colour I simply "smoodged" some distress ink (tumbled glass I think) onto my craft mat, sprayed with water and swiped my banner through to pick up the colour. You can even go back with your foam applicator and darken the edges a bit for some depth. So, that is my page, have you done yours yet?! 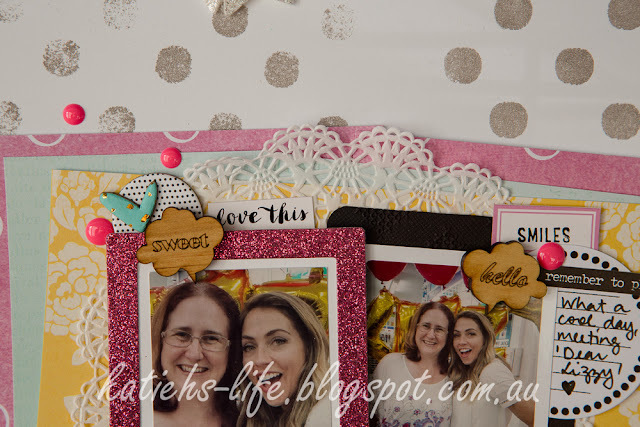 Oh and check out the link above if you are interested in subscribing to the Rainbow Splendour kits!